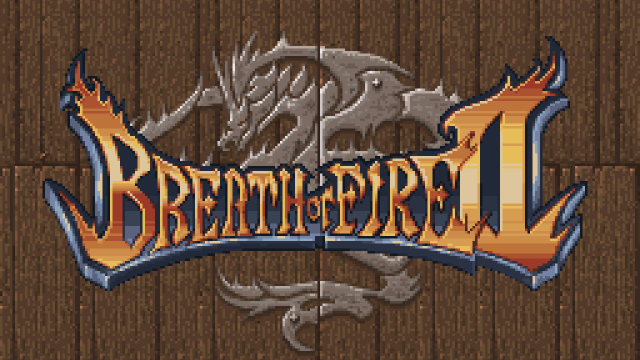 Breath of Fire 2 is another of those game that we value dearly here at rpg-o-mania. It's even officially recommended in our respective section. The game is an overall great experience with some unique quirks. It has a great story (with terrible translation), a memorable soundtrack, great characters and a simple, straight forward battle system (that's played out in countless battles with a high encounter rate). The beginning of the game is quite well told for such an old game. It starts with Ryu, a small boy who had to search for his sister. When he finally found her, they were attacked by a minor enemy. Yet, the small boy he was, he stood no chance against that foe and was rescued by his father. After his family left the scene, Ryu was heading back to the village, but no one seemed to recognize him anymore. Even his father, the town's priest, was gone and everyone in the village denied his existence. 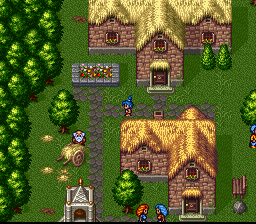 Confused as he was, Ryu befriended Bow, an orphan in that town and the two decided to run away and search for Ryu's sister (and get some money for Bow). As they left the town, rain started to pour and the new friends sought shelter. In that shelter, Bow saw some strange creature, which turned out to be a dangerous monster that knocked out Bow and tried to challenge Ryu. However, Ryu stood no chance. Now the interesting part of that story development happens which leads to this special moment. 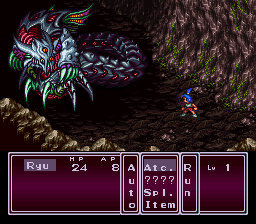 After Ryu was knocked out, the game shows a giant tower in a dark world, and some text scrolls through the screen, explaining what happened to Ryu after the encounter with the monster. In the background, a very sad and somber music plays during that scene. And then, just as the camera reaches the top of the screen, revealing it to be more of a pillar that leads to a ceiling, the title music of Breath of Fire II starts to play. When the music reaches its peak moment, a wooden door is closed and the games' logo appears. And then, the true game begins, a story of old powers, dragons and gods. Special about this moment for me was that the story continously builds up in a short amount. I sat in front of my TV and wondered what's going on. Why did everyone forget what I just played? Was I misled by the story? Who was that monster? What's going on with that pillar? So many interesting aspects that end with the game showing the player that it's now going on! By the way, "Dragon Age: Inquisition" had a similar effect to me, where the logo appears only a few hours in the game. Back to the moments selection.